Symposium is pleased to announce that the Horizon EME CAD system and FIREHOUSE Software® RMS are now live and running at Halton Hills’ Fire Protection and Prevention division. The new system provides the town with state-of-the-art call-taking, map-based dispatch, and record management, serving an area of about 285 square kilometers. The project was started in the first week of January and went live the first week of April – an unheard-of timeframe for a project of this scope. This achievement further cements Symposium’s established reputation for providing CAD solutions that are fast, simple, easy, and reliable. With a population of just over 50,000 the town of Halton Hills is strategically located in the GTA just off highway 401, between Mississauga and Oakville to the south, Brampton to the East, and Kitchener and Guelph to the west. Like many fast-growing municipalities Halton Hills is highly diverse, including built-up residential and manufacturing areas as well as extensive rural districts. Because of the varied service area, the town required a dispatch system with the flexibility to handle a wide range of call types, from structure fires and chemical spills to traffic accidents and agricultural burning. Over one million people live within a half hour drive of Halton Hills, and the Fire Protection and Prevention division has mutual aid agreements with public safety agencies in the surrounding cities. 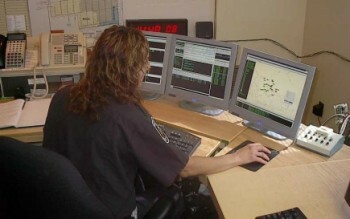 Now, thanks to the Horizon EME’s powerful multi-jurisdictional dispatch capabilities, Halton Hills dispatchers can more effectively manage combined response, both inside and outside the town boundaries. For its part, the team at Symposium is very happy to be working with the town. As company president Robert Day put it, “Halton Hills is a very forward looking municipality, and we are proud and honored to be selected as their dispatch system provider. Now that the system is in, we’re looking forward to making our relationship even stronger, and providing them with the same excellent service and support enjoyed by our other clients”.